3. Will eSports be able to vitalize Japan? NOTE: I just briefly translated parts of the whole discussion, and I have no intention to make any opinion seem better or worse. As you might already know, there's a context that Japan has laws that make it difficult for tournaments to offer a big prize money, and, to resolve that, the association called JeSU (Japan eSports Union) was established by consolidating three existing associations on Feb 1, 2018. The association is releasing "pro gamer licenses" for gamers to legally get high prizes. And it's been a controversial topic among us. Daigo: You know, it's often said that Japan's lost momentum. The agenda might be too big for us to deal with. But the bigger the goal is, the more fun we have. So here I want to discuss about whether we can vitalize Japan through eSports, which are hot now. Hamamura (from JeSU): Actually, we're talking about events for interaction between players with a Saudi Arabian entity, a Taiwanese entity, a Korean Entity and Harbin city, China. There're so many entities who want to send their players to Japan or invite Japanese players to their events. Akahoshi (CEO of Wellplayed): There are only a very small number of players who go out to a tournament overseas such as Evo, get a good result there and get sponsorship straight away. In the first place, only a few of players can have an opportunity to go out to Evo. Only players with sponsorship can be continually doing well as they have a lot of opportunities because of sponsorship. Listening to young players, I'm feeling there are many players seeking opportunities in Japan. So I believe it'd be great if there're many tournaments where young players could get pro licenses by getting good results. Daigo: Excuse me, but I'm feeling like there's already been people trying to provide them with opportunities. What I want to talk about is "why don't we go beyond Evo?" Of course Evo is definitely the best, and I know Evo is such a great event. But, the fact that "Evo is the only opportunity" makes me feel like we're losers. Not events whose goals are to fly out good players to Evo... Of course they'd be nice, but... but I have a feeling like "Japan is the originator," you know, Street Fighter originated in Japan. I kinda regret it, like "why the best place is a foreign country?" So... I think we won't be able to achieve what we think we can't achieve. I hope JeSU would keep working hard with the spirit of "let's go beyond Evo." I hope Japan would be the best place for eSports. Hameko (chairman of Evo Japan): We've been talking about pro players or something. But, who created the "value of Daigo"? I feel you (Daigo) were able to become a pro gamer thanks to those who loved games so much that they saw the value of being good at games. So personally... of course financial inflows are important (for the community) to be sustainable, but there still remains the climate that games are bad and it's the most fundamental issue. So we have to do our best to get those who love games recognized. 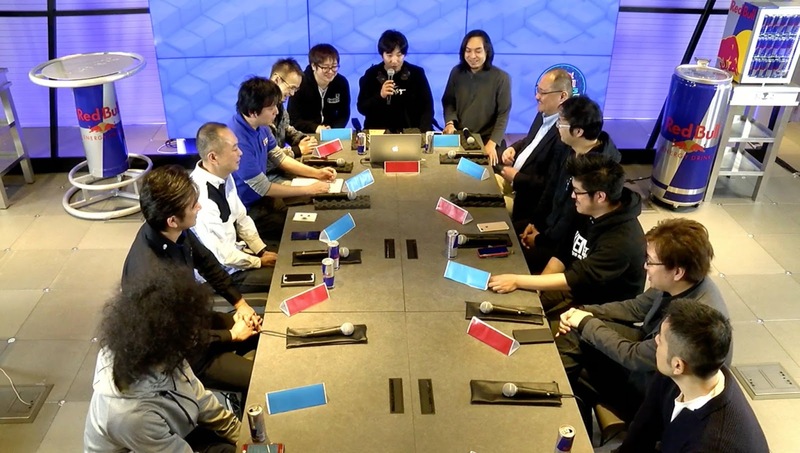 Honestly, the power of the communities in Japan is too weak compared to that of the IP holders. I want events or places at which they would be recognized. Pro gamers can make their livings from games thanks to them creating the value. I believe they deliver the value to people outside the community by kind of saying "Umehara is such a great player, did you see that video?" and that made the eSports what they are.